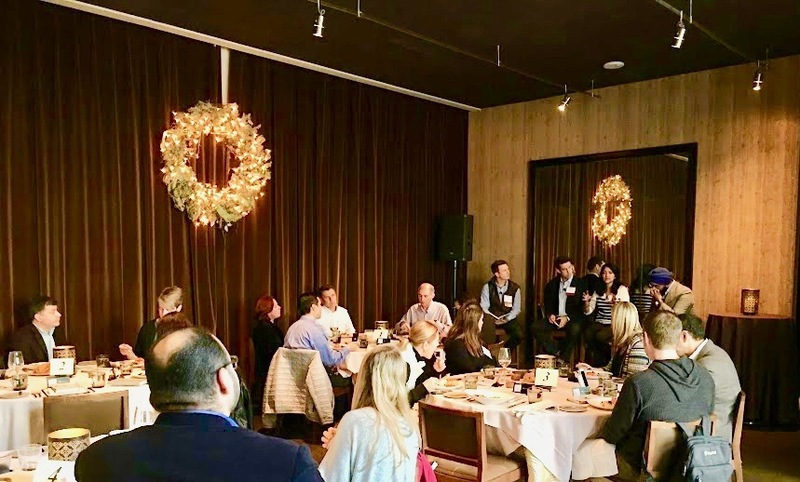 On Nov 30th, I was invited to CXxAI — an interactive roundtable for Customer Experience leaders in enterprise organizations. During the panel, we focused on the most widely used form of artificial intelligence in customer experience — chatbots and virtual assistants, enhanced with natural language processing capabilities. We discussed how are leading organizations using this technology? What are the challenges and opportunities? And what are future trends? The questions at the panel, as well as subsequent conversations, research, and reflection, inspired me to write this blog to share my thoughts on the business opportunities of these technologies, as well as some dos and don’ts of bot design. Let us level set on some terms before we begin. 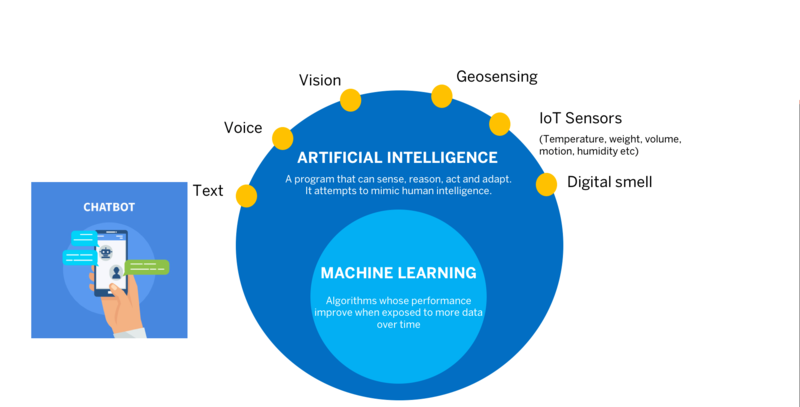 Broadly defined, Artificial Intelligence (AI) is a computer program that attempts to mimic human intelligence, and that can sense, reason, act and adapt. It can respond to various inputs such as text, voice, computer vision, geo-location and sensors that detect physical characteristics such as temperature, weight, volume, humidity, motion, etc. In the future, even more, inputs may be possible, such as digital smell, and human emotions. “Bots are the new apps” declared Microsoft CEO Satya Nadella in 2016, and they are certainly on the rise. In fact, Gartner predicts that by 2019, 20% of brands will abandon their mobile apps for chatbots, which will power 85% of all customer service interactions. The advantages of chatbots are that they are available 24/7 and customers today prefer to use messaging over other forms of communication. 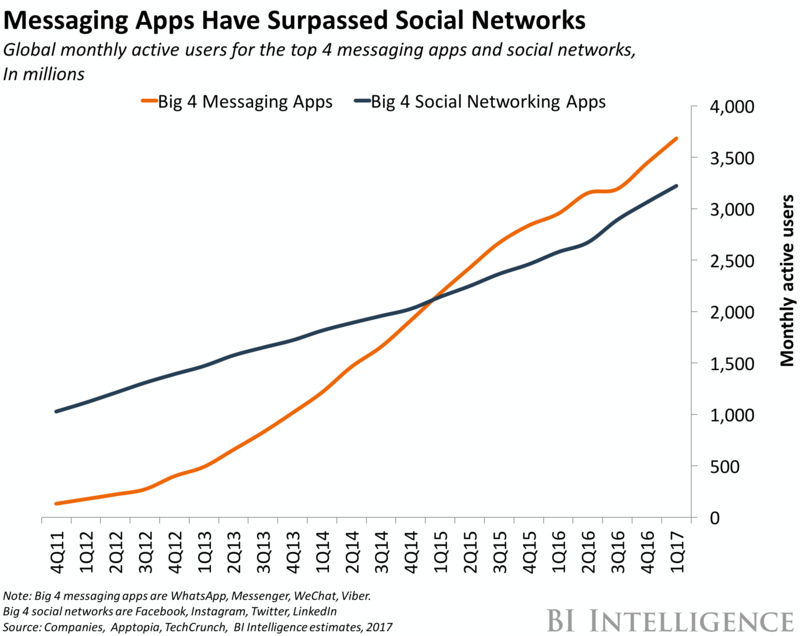 According to BI research, messaging apps have surpassed social media, and this trend will continue. While there is a lot of interest in bots, it is still early days in learning how to design them well for business impact. Here are ten tips I gathered from the roundtable, as well as from independent research and reflection. I want to capture how it feels to use bots, and thereby develop some design principles. I have included personal bot-related anecdotes that friends and colleagues shared with me to illustrate these principles. The most successful BOTs are those that serve high-frequency use cases well. Businesses can identify the most frequently asked questions through call center logs or web search analytics. 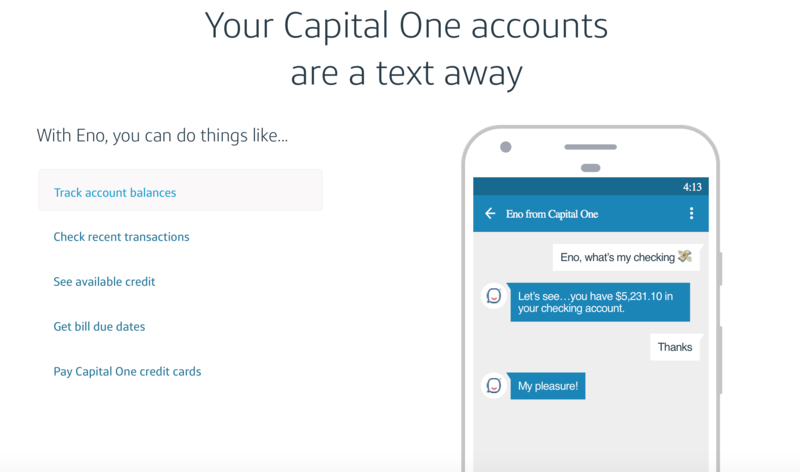 One example is Capital One’s Eno bot, which is designed for five use cases: Tracking account balance, checking recent transactions, viewing available credit, confirming payment due dates, and accepting payments. For most other tasks, the customer must interact with a human. Bots that track packages and airline check-in bots are other good examples. The advantage of starting with high-frequency use cases, is that it frees the internal support team from answering the same questions over and over again: a low-value activity. So, it is win-win for, both, the customer and the business. While it is great to start small, if the bot capabilities are too narrow, the customer experience will feel rigid and unnatural. Human beings will always behave in non-standard ways, so if the bot does not anticipate that or learn over time, the experience will feel less than delightful. In general, chatbots based on rules tend to be restrictive, and users have to be very specific and precise to use them. However, chatbots built on an AI platform can understand natural language, so the user does not need to be ridiculously specific. Several users I spoke to loved the DuoLingo app for it’s natural, conversational feel. They specifically mentioned how they appreciated the “better answer” feature. One of the key value propositions of chatbots is efficiency over other forms of interactions. So, make sure it is more efficient to use your bot for high-frequency use cases than using the app. For example, Skyscanner has a bot and an app to book flights and manage itineraries. 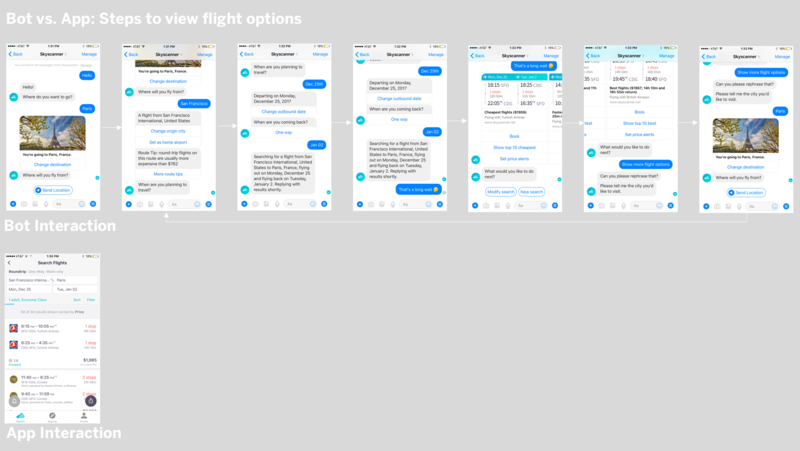 The bot interaction takes a number of clicks to see the trip, flight, fees etc., while the app displays all of the information on a single screen. It is important to consider the quality of the company’s knowledge base when creating a chatbot, as this is the information from which chatbots pull answers. 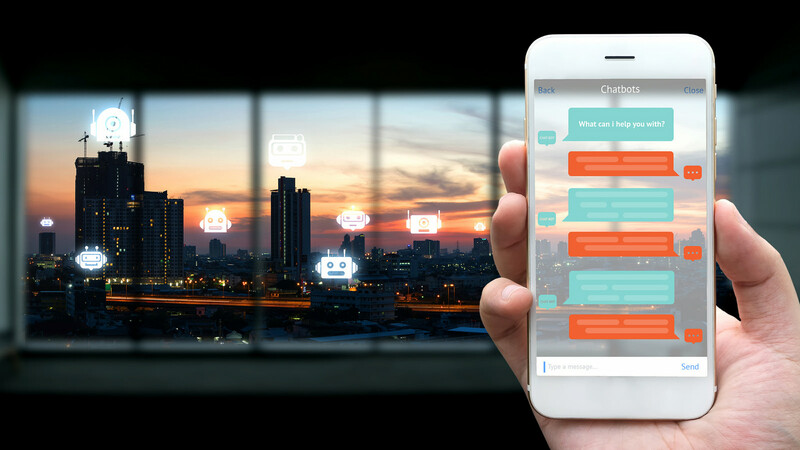 If the information is not current and of high quality, it will affect customer satisfaction, and ultimately, the success of the chatbot project. This is crucial to address before chatbot implementation, especially as companies move beyond simple rule-based systems to AI systems, powered by machine learning. Who can forget the lessons learned from Microsoft Tay, an AI-enabled chatbot that started posting racially insensitive messages because the quality of the training data was poor? Most organizations start small to gain experience and over time expand their scope. However, it is important to think about how the bot fits into various touchpoints along a customer’s journey. · Awareness — How does the potential customer become aware of product? · Engagement — How will you nurture their interest and engage them? · Transaction — How can they buy the product? Can they customize the product? How will they pay for it? · Service — How can they access customer support? How might they return the product if not satisfied? · Advocacy — How can a satisfied customer refer other customers? A bot could be deployed in any one of these stages. However, the customer may have a disjointed experience if their end-to-end journey is not taken into consideration. For example, my friend used a chatbot to purchase sunglasses. The company handled all of the shipping and order confirmation communication via Facebook messenger’s bot. Overall, he liked the interaction, especially because it made access to shipping information easily, without searching through all of his emails. However, he received the incorrect product and had to return it. He tried to communicate the issue via the chatbot, but it could not handle the query. He then had to figure out a way to connect with a customer service representative, and he, ultimately, found the experience disjointed and challenging. At this point, most businesses do not have enough high-quality data for robust machine learning algorithms, so don’t try to pass the Turing test! Instead, design hybrid bots that work alongside human agents to automate routine queries. This is a great way to ensure a high-quality experience for the customer. Similarly, if the query is routine, an agent could hand it off to the chatbot, once the customer is notified and agrees to it. It is important to anticipate and design these hand-offs, since they can degrade the quality of the customer experience. Sometimes customers want to know if they are speaking to a bot or a human, and not knowing could make them feel uncomfortable. My friend is a fan of the outdoors and he uses, both, the Backcountry website and their embedded app for specific product questions. He does not like that the bot pretends to be a live agent, however. He would prefer if the bot revealed that it is a bot, as he would feel more forgiving towards it. 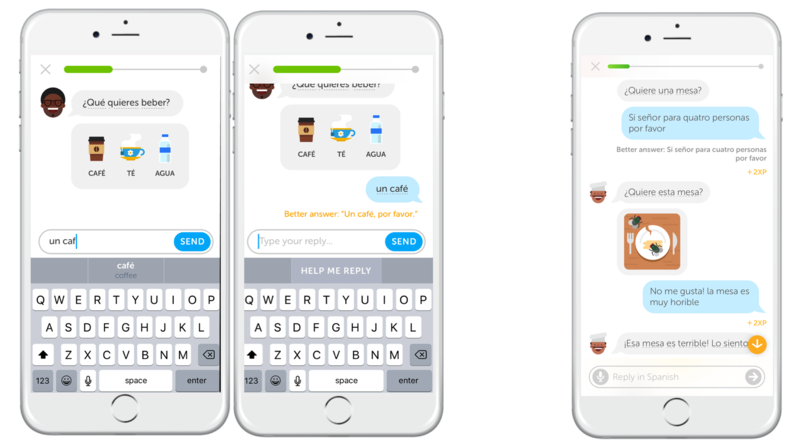 While most companies are initially looking for cost savings in their customer support, bots offer the opportunity to extend a business’s brand. So, it’s important to speak in an authentic voice that resonates with your audience. 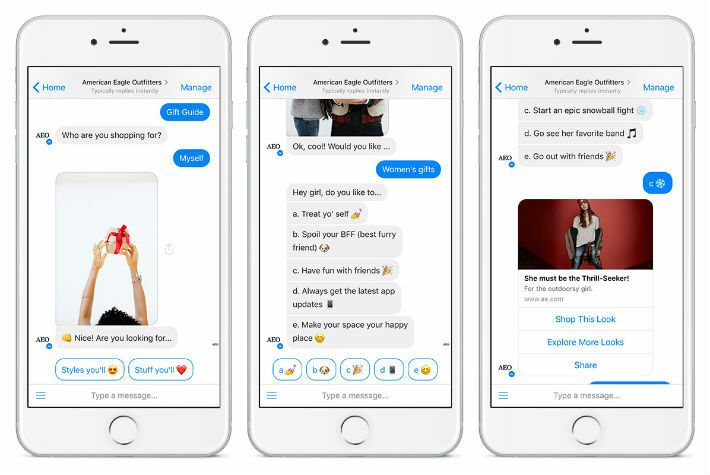 Research shows that bot users skew younger, and they are an opportunity to expand your target demographic, while ensuring that the bot still represents your brand. The American eagle app matches the brand well and makes shopping look like fun. Yet, there are plenty of examples of bots that don’t match the brand of the product. My friend tried to use MeditateBot on Facebook messenger. Instead of replying to the chats, the bot persistently marketed the app. It asked him to download the app after every reply. This experience made my friend turn away from the product altogether. Headless, voice-enabled interfaces like Amazon’s Alexa and Google Home are great companions to text-based chatbots. We need to better understand which use cases are the best match for which form of interaction and optimize for that. For example, hands-free interaction using Alexa is great at home. However, I cannot check flight status on the go. I am also not sure I want to check my bank balance using a voice interface, especially in a public place. I would prefer a chatbot for that. As designers, we need to refocus on human needs and be better matchmakers of technology to use cases. Bots know a lot more about us than other forms of interactions. Businesses need to implement measures to safeguard customer data in order to earn and maintain our trust. Here is a personal anecdote. I saw an ad for a product on Facebook and clicked on it. This took me to the product website. There, I watched a product video but did not proceed. A few days later, I decided to buy the product, and I went back to the website and paid for it. Immediately, I received a Facebook chatbot message that thanked me for the order. This caught me by surprise. I had forgotten that I had clicked on the Facebook ad, to begin with. I wasn’t sure if I wanted this vendor to have my Facebook data. What data did Facebook share with this vendor? How long will this information be stored on their server? Could the vendor repackage and sell my data to other vendors? I don’t know, and not knowing makes me uncomfortable. Imagine if I bought the product in a store and, when I went to check out, the cashier immediately asked me several personal questions: What is my relationship status? Do I have children? etc. How would I feel? I am pretty sure I would leave the product on the counter and walk away from the store. Interestingly, customers are also creating bots to interact with businesses. Let me tell you the story of “sneaker bots”. My friend is a sneaker enthusiast. He is part of is a community that is into buying new and rare sneakers. A couple of weeks ago, a set of ten highly sought-after sneakers were released by Nike, and he tried to purchase a pair but it was all but impossible due to these “sneaker-bots”. Essentially a group of people have figured out a way to automate the purchase process for sneakers so that the sneakers are purchased much faster than a human being can click through several screens on a retailer’s website or app and as a result, the sneakers sell out in milliseconds. 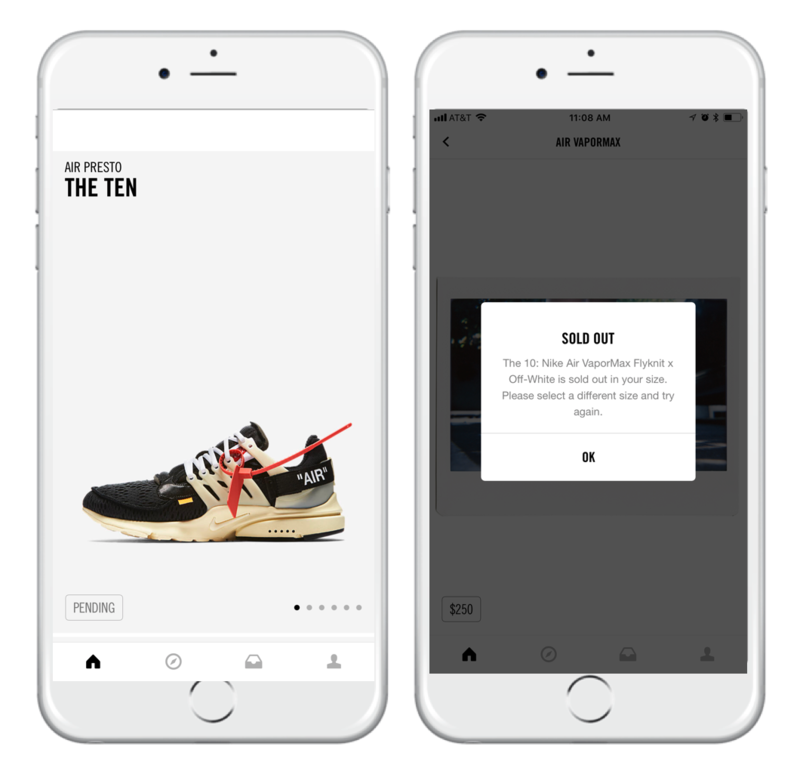 This example comes from the user side rather than the retailer side but I am curious how businesses will respond to address this issue and make the purchase of coveted sneakers fairer for the average consumer who does not utilize a bot. Recently, the term ‘bots’ has started to provoke a bad perception within the general public. It does not help that a significant percentage of Twitter users are, allegedly, bots. The recent United States elections and the allegations of Russian bots have only exacerbated the situation. 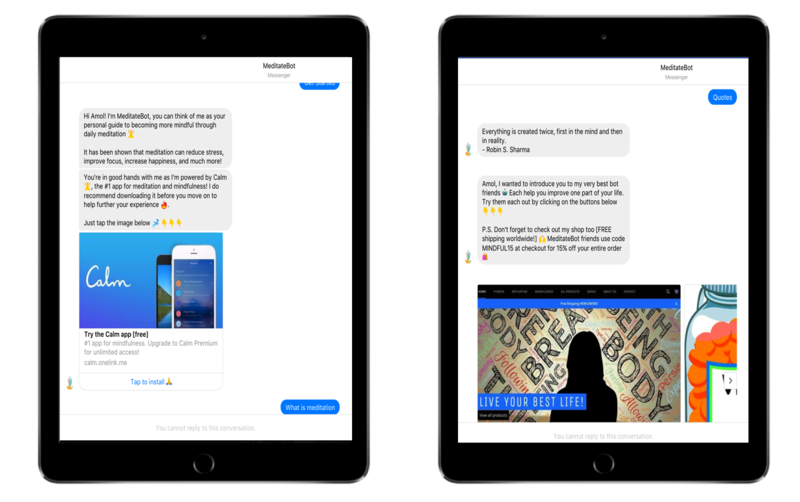 While it is great that the Facebook platform has seen bots grow to 100K in less than one year, it also brings with it discovery issues — How will the customer know that your business has a bot, and how will they find it? So, what does this all mean for the future of bots? While chatbots are a promising new technology, I feel there is a lot more work to be done to deliver on this promise. Let us reset expectations and focus on productivity. There is tremendous opportunity to improve the efficiency of enterprise workers and help them access information quickly in service to the customer. Internal bots can help employees check the status of orders, inventory levels, be notified of any potential shipment delays, find product experts etc. Having this information at their fingertips can make employees even better at what they do, and enhance customer experience indirectly. SAP’s co-pilot is designed to go in this direction. Do not underestimate the need for iteration in bot design. The software development process for chatbots defers from apps in that there is a lot more need for user testing, data training and iteration. Finally, we cannot overemphasize the importance of customer trust in determining the success or failure of any new technology. To rephrase Maya Angelou, your customers will forget what your bot said, they will forget what the bot did, but they will not forget how it made them feel. I hope this blog offered some useful tips on how to leverage bots for business impact. 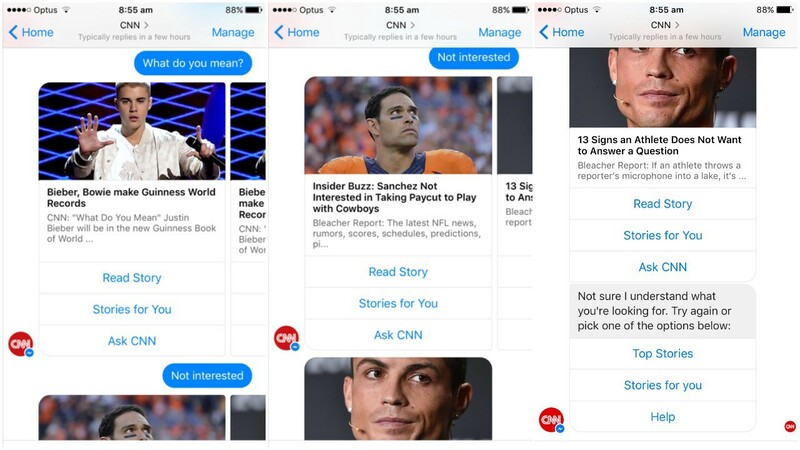 While there is a lot of chatter about chatbots, the conversation is just beginning. Let’s chat. Thanks to NICE Satmetrix for hosting the roundtable moderated by Shane Oren from NICE Satmetrix, and my co-panelists were Guneet Singh, Director of Customer Experience, Docusign, and John Spencer, Senior Director at ServiceNow. Thanks to Eswar Priyadarshan, Rachael Chung, Eliad Goldwasser, Brandon Hightower, Amol Deshpande, Meime Huang, David McKay, Jerry John and Pravin Kumar for sharing their bot related anecdotes with me. Read the original blog post on SAP Design’s Medium channel here. Love these blogs – so interesting. Surprisingly or unsurprising they are coming up at the same time. If you – like me are interested there is another great blog. I like this one looks at some of the issues with bots. Thinking about how the design will work / not work in the future. And, well really, now.